Oh what could have been! 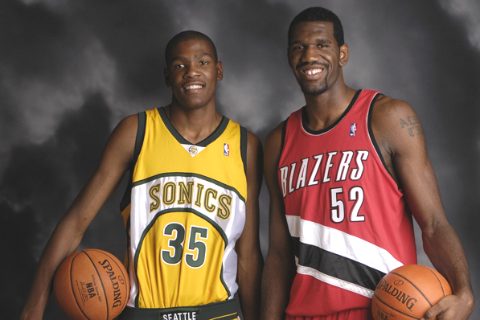 I mean the Blazers’ uniform history, not the fact that they could have had KDTrey35. Well, I’m back at it — Paul Lukas from ESPN is having another uniform re-design contest and I’m in. The Portland Trail Blazers are on-deck. For those curious folk, the original ESPN article is shown here. I’m a huge Seattle SuperSonics fan — ever since they won their one and only NBA Championship back in 1979. It has been a painful road ever since. There have been a few bright spots along the way. One memorable one was during the Gary Payton / Shawn Kemp era of the mid 90’s, when they played the Chicago Bulls in the 1996 NBA Championship Final. 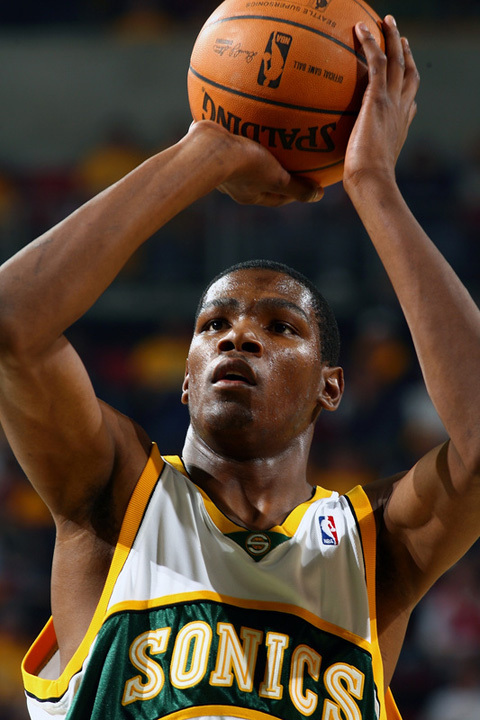 Unfortunately, the SuperSonics lost the series 4-2. As of now, there is still doom in gloom in Sonicland, because the current owner of the SuperSonics plans to move the team to Oklahoma City or Kansas City, if the city of Seattle doesn’t come up with a plan to build a new downtown arena for the SuperSonics.